It’s a common question that appears on almost every job application across the United States. “Have you ever been arrested or convicted of a crime?”—or something to that effect—is usually how the question is phrased. And for some, depending on the employer, it could be the end of the road to attaining meaningful employment and successfully reintegrating into society. 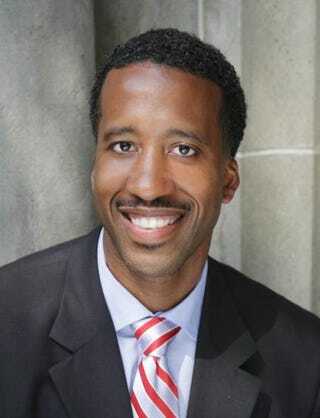 This is something Washington, D.C., Councilman Kenyan McDuffie, and other councilmembers are trying to remedy in the nation’s capital, hoping, with one act, to help curb recidivism and stop the United States’ mass-incarceration problem. About three weeks ago, McDuffie’s amendment of the Fair Criminal Records Screening Act, a product of the Ban the Box movement, made it through the D.C. City Council after years of holdups—and thus granted job applicants with criminal records a new lease on life and greater protection against the discrimination they may face from potential employers based on their records. “An employer may not make any inquiry or require an applicant to disclose or reveal any criminal conviction until after making a conditional offer of employment,” the legislation reads. “For years we’ve said that if you commit a crime and serve a period of incarceration you’ve paid your debt to society, and in reality it’s not the case,” the Ward 5 native added, lamenting that such former prisoners often don’t have the opportunities to compete fairly. Councilman Tommy Wells of Ward 6, also a Democrat, first introduced the bill in January. The council's Committee on Judiciary and Public Safety in May changed the language to permit a background check after the first interview, weakening a key part of the bill, which had stressed that employers could review criminal records only after a job offer. D.C. also is no exception in trying to get rid of what some view as a problematic stance. According to the National Employment Law Project, which advocates for the cause, 11 states have legislation to ban the box, including California, Hawaii, Massachusetts and New Mexico. Of course, for African Americans, the measure could prove especially important, since the black community tends to face incarceration rates that are disproportionate to its size in the greater community. According to data published in July (pdf) by the Washington Lawyers’ Committee for Civil Rights and Urban Affairs, African Americans made up more than 80 percent of the more than 142,000 adult arrests made from 2009 to 2011 by the Metropolitan Police Department. The study also found that District wards with large populations of African Americans were more prone to witness arrests. About 70 percent of the arrests made in five particular wards were home to about 90 percent of black District residents. All that being taken into consideration, black inmates make up about 91 percent of the District’s jail population (pdf). Such statistics, however, do not mean that the issue is solely a “black” problem, or even an “individual” problem. “What I think is very important is there are a lot of consequences associated with the disproportionate amount of African Americans who are being incarcerated,” the councilman stressed. “[These are] individuals who are coming home, who need support, who need to integrate. It’s important that we support reintegration from a government perspective and put forward policies to make sure that happens, and [this is one of those policies]. After people have paid their debts … we need to support their reintegration, because they’re trying to support their families. The measure does not aim to dictate exactly whom employers should hire; nor does it give applicants who may suspect that an employer is rejecting them based on a criminal record the right to sue. It does, however, try to ensure that employers look at the potential and possibilities within each worker before casting judgment. Such as if a person’s conviction is directly related to the job she or he is seeking. “If a person applies for a job to be a bank teller, for example, where you handle money, you are in charge and responsible for counting money and handling other people’s money … and you have a conviction for fraud, then perhaps there’s a nexus between that conviction and the type of employment you’re seeking,” the lawmaker pointed out, saying such an example would merit disqualification. However, “if you have a simple [conviction for] possession for marijuana and looking for a job in career service, perhaps there’s not a nexus,” McDuffie added, adding that at such point it would warrant the employer to clearly articulate what factors in the conviction contributed to a decision to disqualify an applicant. McDuffie hopes to engage the private sector in the debate, acknowledging that the government alone can't solve the current problem. “Most of the jobs that are created are created through the private sector and small businesses, and we need to make sure that they are partners in this process,” he said. If the bill, which is tentatively due for a second reading in early July, passes through all barriers, it doesn’t mean that the problem goes away. “This is not by any means a panacea for the existing problem [of mass incarceration and recidivism]. I think what you see happening around the country is a trend to really think more comprehensively about the mass incarceration and the consequences associated with the imprisonment we’ve seen for the past couple of decades … even as far up as the attorney general of the United States, Eric Holder, who announced several initiatives for the federal government to be smart on crime, instead of the mantra that existed in the ’80s and ’90s,” McDuffie said.